PhilStockWorld.com | Which Way Wednesday – S&P 2,940 or Bust (again)! 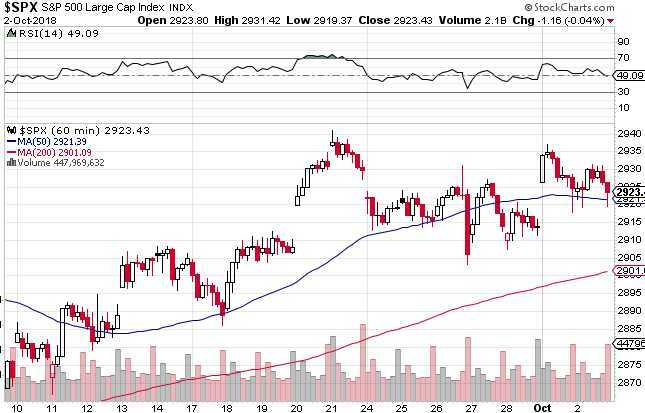 Which Way Wednesday – S&P 2,940 or Bust (again)! Will the 2nd time be a charm? The S&P 500 will make another attempt at getting over the 2,940 line, which is 33.6% higher than our old "Must Hold" line at 2,200. 33.6% is not particularly significant, the real significant line is the 20% line at 2,640 and we haven't seen that since April and now we're over the 30% line (2,860) and it's probably time to move the goal posts as those lines were for the end of 2017 and the tax cuts have been a game-changer for the S&P 500 and anyone else who measures their earnings in Billions. Companies aren't making more money – they are just paying less taxes but same difference to investors – as long as more goes to the bottom line. I'm not saying that 2,860 is likely to hold in the long run but, taking into account buybacks and repatriation of capital (ie tax avoidance) and lower tax rates – 2,640 is a reasonably good "Must Hold" level for the S&P going forward as the Must Hold Line represents a bearish break if it fails and 20% above (3,168) and 20% below (2,112) is the expected range the market should stay in. 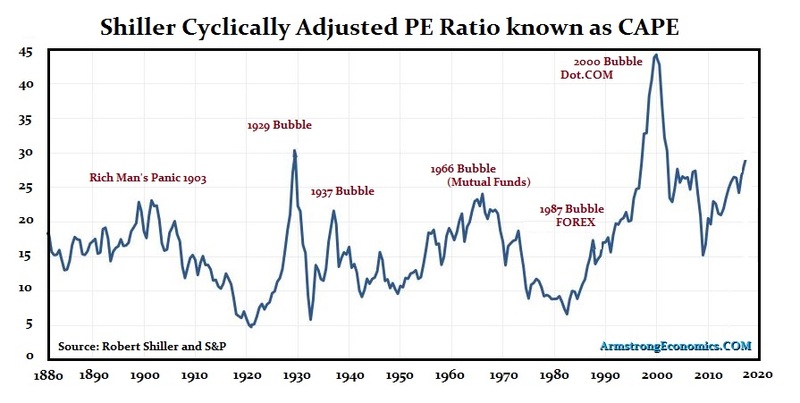 Getting close to 3,000, it's hard to imagine 2,112 ever happening but I suppose we said that in 2000 and again in 2007, when the S&P was up at 1,550 and both times it fell 50% within the next two years. This time is different though – we're 50% higher now so, even if we fall 50%, we still end up back at the previous highs – that's progress! That's right, we're getting very close to that magical 3,000 level which, appropriately, would price the S&P 500 at 30 times it's trailing earnings but, if we assume forward earnings will go up and up forever and nothing will ever, ever, ever go wrong – then it's only 27 times earnings and that seems like a bargain these days, right? http://welcome.philstockworld.com/wp-content/uploads/2015/09/PSW-Adooma-logo.png 0 0 Phil http://welcome.philstockworld.com/wp-content/uploads/2015/09/PSW-Adooma-logo.png Phil2018-10-03 12:33:592018-10-03 12:33:59Which Way Wednesday – S&P 2,940 or Bust (again)!